Load the data into R. The procedure for loading of data files has been shown in previous R tutorials. Here, we use a data set from a pre-installed package “fma”. 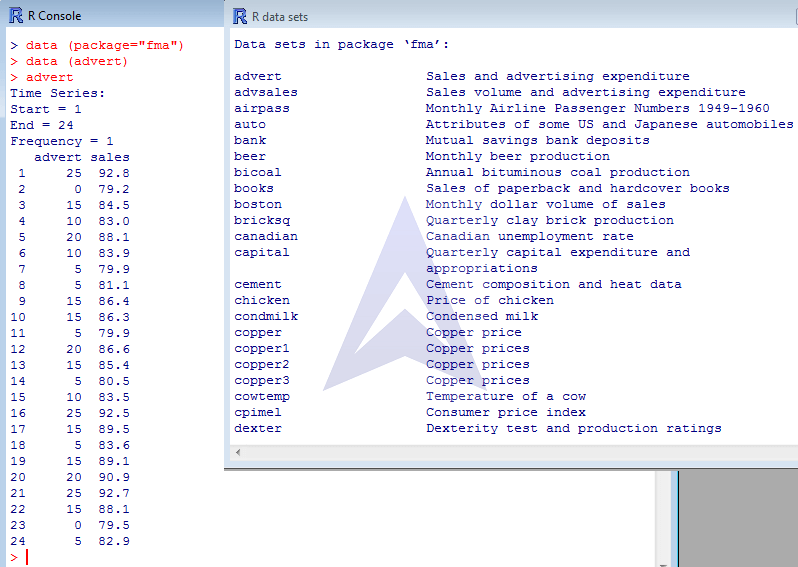 This instantly presents a list of all data sets available within the package. 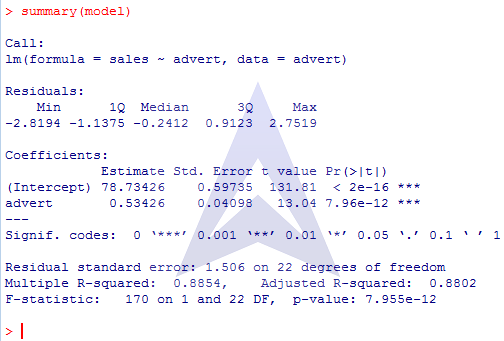 How to Use R software for carrying out Linear Regression Analysis? 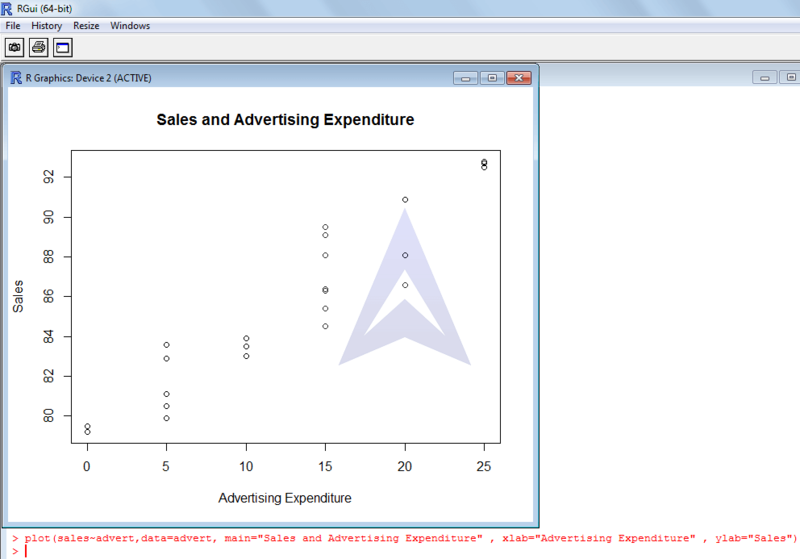 How to Draw a Scatter Plot using R? main is used to define the title of the scatterplot while xlab and ylab are used to set X-axis and Y-axis labels. How to display the Line of best Fit in Linear Regression scatter plot in R? 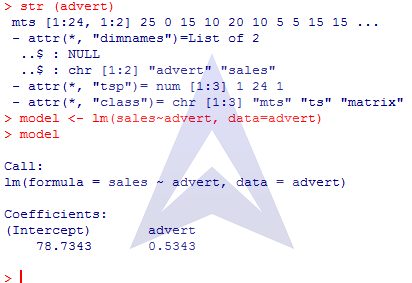 How to use R programming software for Data FORECAST?